After a career as a prizewinning pianist, Annick Goutal came to perfumery late in her life. Then she met the perfumer Henri Sorsana by chance in Grasse in 1977, and spent the next seven years memorising ingredients and training her extraordinary nose. She said "the words were the same: notes, harmony and key". By 1980, Annick Goutal had opened a small boutique on Rue de Bellechasse, where she presented her own creations. After a few years, her perfume range had grown and she had built up a very faithful set of customers - people who knew and loved her fragrances and were delighted to have found a Goutal fragrance that suited their personality. 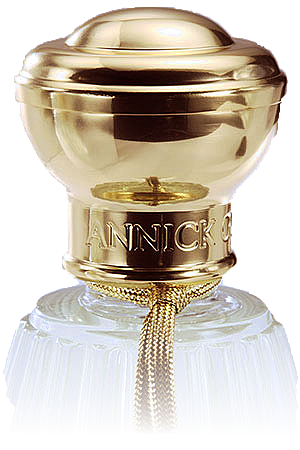 Every day, Annick Goutal's reputation grew by word of mouth. Diagnosed with breast cancer, Annick Goutal passed away in 1999 at the age of 53, leaving a legacy of more than 20 fragrances. Camille Goutal (Annick Goutal's daughter) and the perfumer Isabelle Doyen have continued the pursuit of Annick's vision, creating an exciting range of new fragrances which immortalise her beliefs: emotion, creativity, authenticity and excellence. There are 13 products in the range for you to explore: you are viewing page 1 of 4. Inspired by the story about the Emperor Hadrien, Annick wanted to recreate the feeling of happiness and satifaction she experienced when reading this story. If you only buy one scent this year, this is has to be the one. A sensational creation by Elizabeth Doyen and the most haunting to be released by Annick Goutal to date. With the traces of Annick Goutal’s signature scent in the background, Bois d'Hadrien has new lingering green earthiness of ivy, pine and cypress, and an enchanting and lingering blend of citrus and woods.